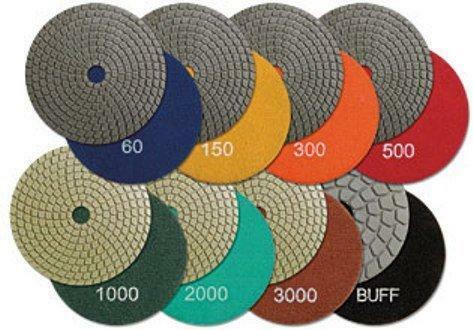 Resin polishing pads can be used Wet or Dry to achieve an excellent finish on natural stone and concrete. Ideal for natural stone or concrete. Available in 4″ or 5″ sizes from 50 Grit to 3000 Grit. Must be used with Velcro backer pad.